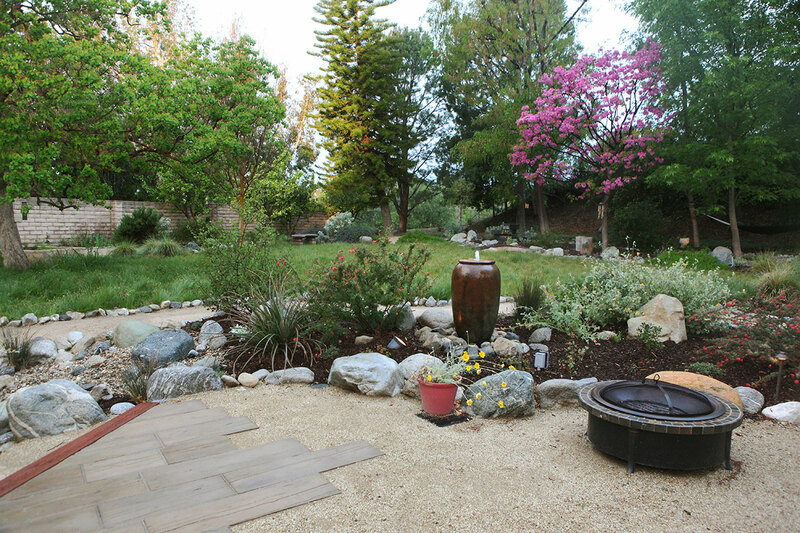 Magenta flowers of a mature desert willow greet newcomers to this large three-year-old landscape. 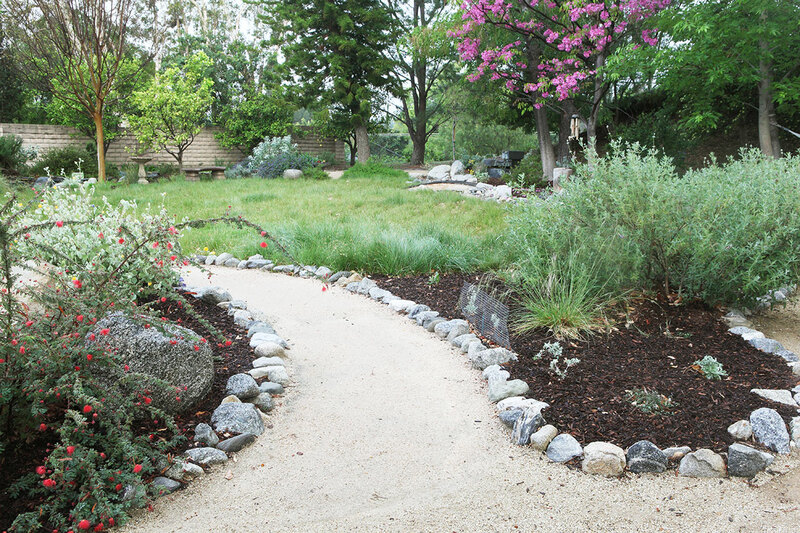 The back yard, which spans more than one-quarter acre, is a soft-textured open space, with a slender sedge meadow surrounded by native habitat plants. 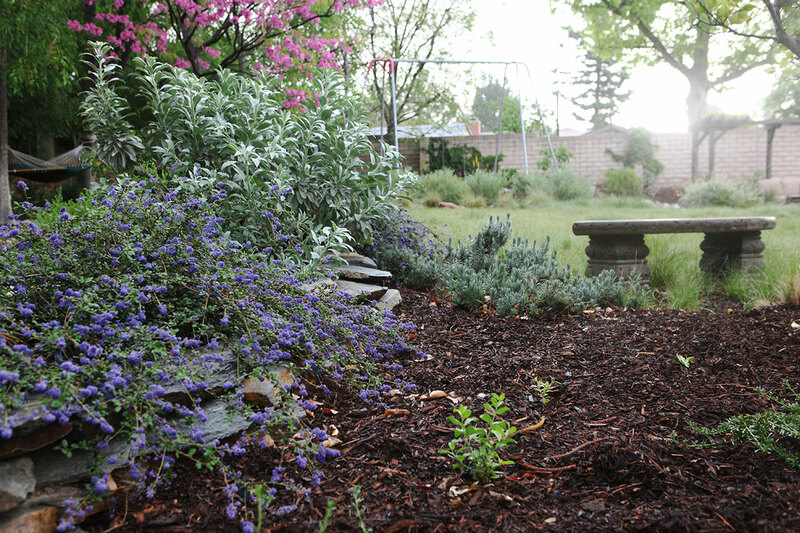 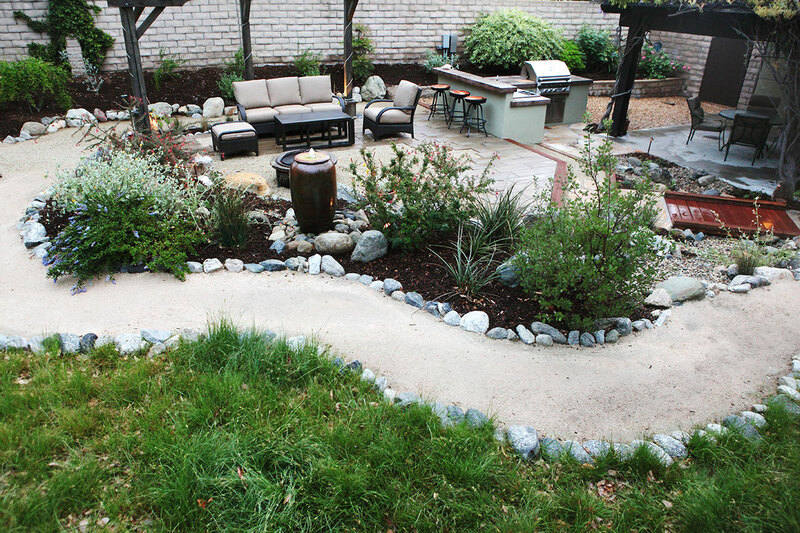 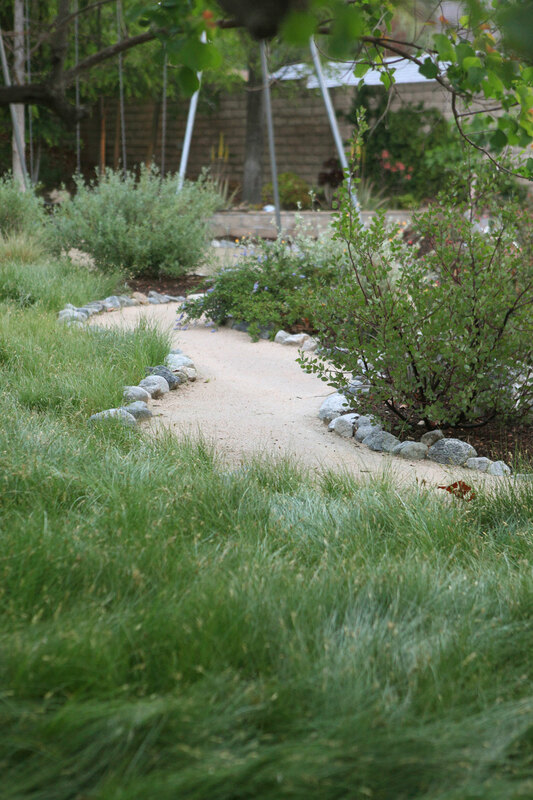 A bioswale captures runoff and prevents flooding of the patio. 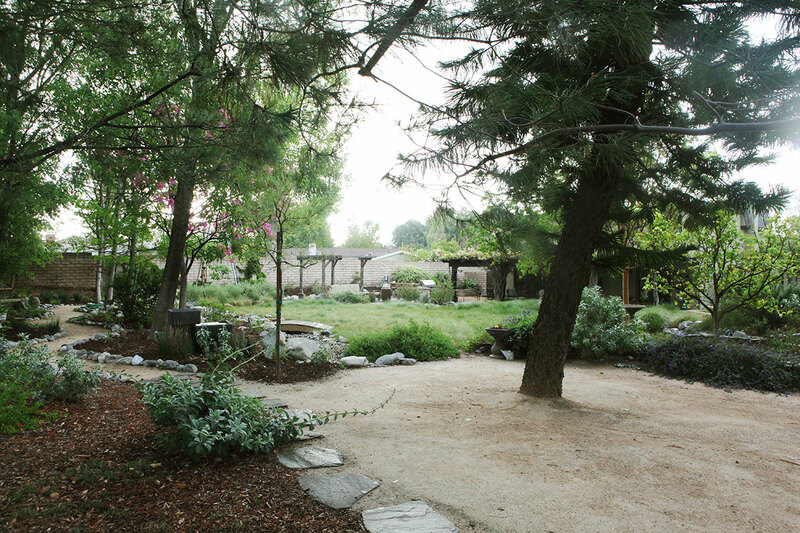 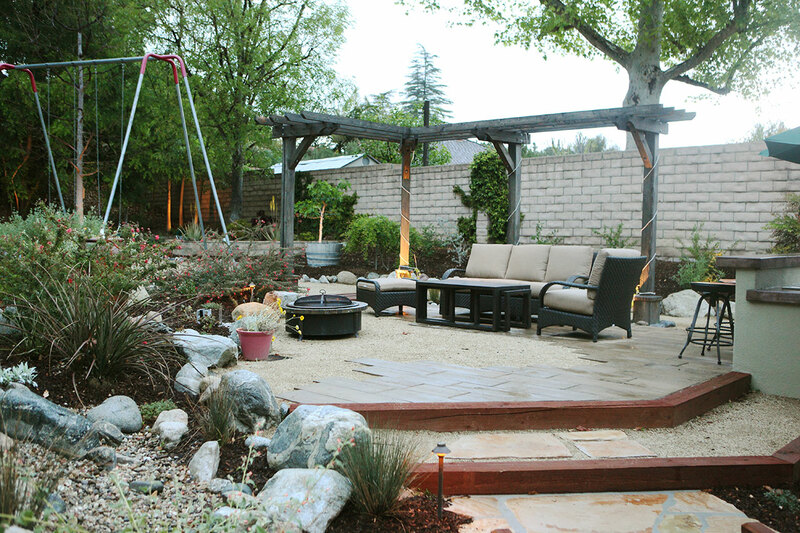 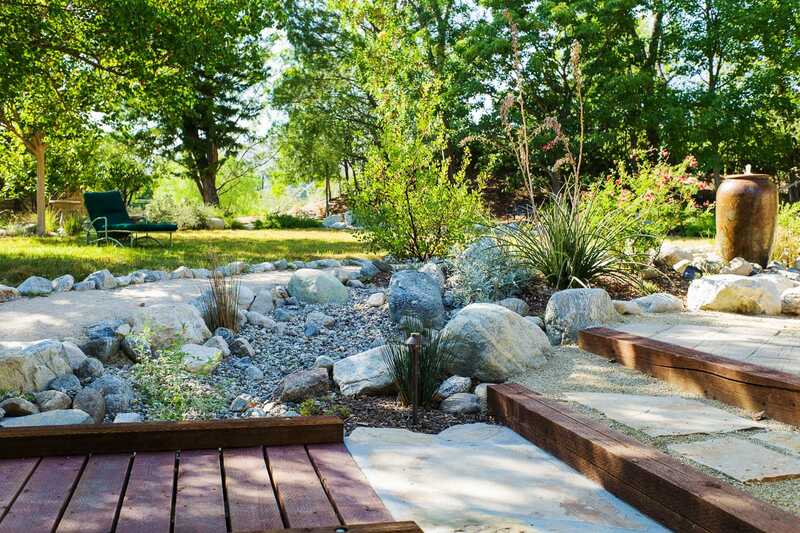 Other notable features include a shade structure trellised with native grape, an outdoor kitchen, a dry creek, raised veggie beds, and fountains. 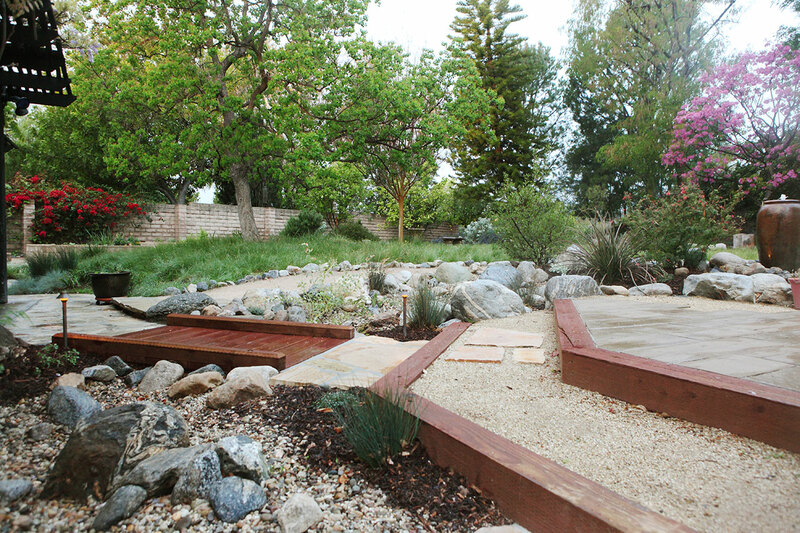 Design: FormLA Landscaping.